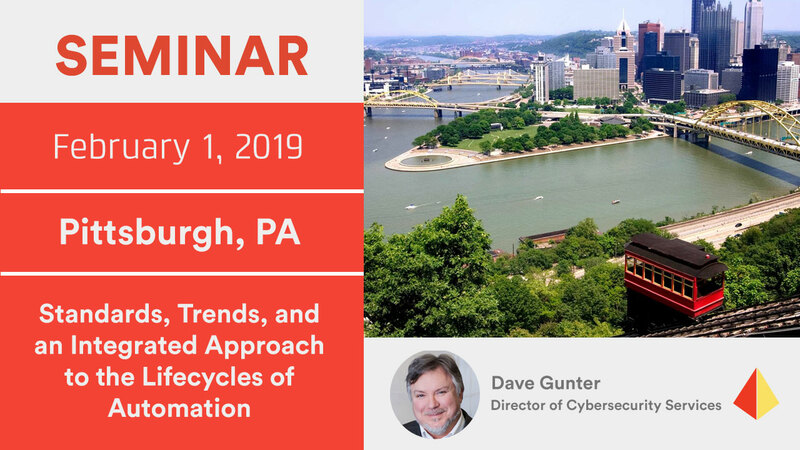 Please join us on February 1, 2019 for a complimentary seminar in Pittsburgh, PA. The seminar will be a great opportunity to learn more about important topics relating to Functional Safety, Industrial Cybersecurity, and Alarm Management. Lunch will be provided.